Every multinational company has a website. Many visit the websites of these companies to find information but most visit their websites to find job opportunities. These multinationals update their websites regularly to post available vacancies. Some websites also facilitate the candidate to submit their resumes to them directly through the website. In this case, the resumes go directly to the human resources department of the multinational corporation. This proves to be a very efficient method of joining a multinational company. Some websites allow the service of applying directly through the website. Multinationals assess whether the person will stay with the company for a long time or not, as they spend a lot more time and money on the training and development of their employees. Potential candidates should let the higher personnel of the multinationals know about their aims and ambitions. This can only happen if candidates meet the company’s personnel in person. Multinationals conduct organizational seminars to get to know new potential faces for the company. Meeting them in person helps the organization’s employees build a rapport with the candidate and also gives them a chance to hand-pick the perfect employee. Multinationals have a tradition of hiring on references. Existing employees bring in new professionals, which allow the organization to establish an early trust for the employee. Referral programs are usually backed up with some award or added benefit, for example, a person who refers a candidate who is selected, the person referring him or her will be given a bonus or some monetary award. This encourages employees to look out for potential candidates when a vacancy is available. Similarly, candidates looking for a job can contact an acquaintance in a multinational organization, giving him a chance to introduce himself to the company through that acquaintance. Human Resources Department is responsible for finding suitable candidates for an available position. This also allows candidates to independently approach them when they are looking for a job. The role of a HR department is essential since multinationals hire employees on an everyday basis. Without a HR process, hiring professionals would become a hectic job for the company’s managers and hence will not allow them to perform their tasks efficiently. Job seeking candidates can leave their documents and resumes with the HR department. The department will then contact them whenever there is an opening and will call them in for a preliminary interview. 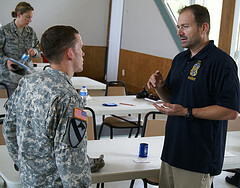 The HR department conducts the first interview, which is followed by a test. Once selected, the HR forwards the candidate to the relevant department’s team lead or manager. If possible, the HR department can also acquire candidates for full-time internships available in the company. This is also an entry-level positing for a candidate where on completion of the internship, the candidate can become a full-time permanent employee. This is only a possibility if the candidate proves himself in the organization during the internship, which could last anytime from one month to a year. These internships are often paid; hence the candidate can afford to continue with an internship if he or she is interested.